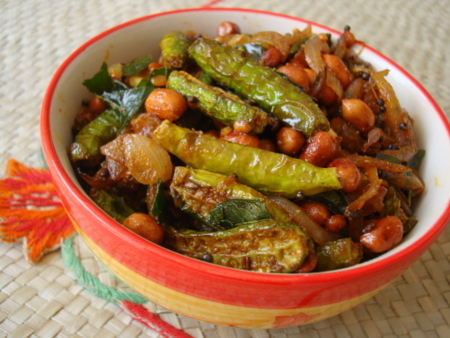 As long as there’s lots of peanuts, this Ivy gourd stir fry recipe is a winner. 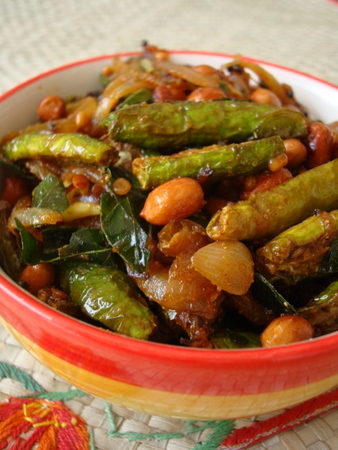 A classic vegetarian dish served on special occasions as part of an elaborate Andhra thali. 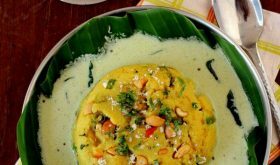 The key to this recipe is deep frying tindora slices before sauteing them in a tempering of spices, curry leaves and onions and finishing off with a good dose of roasted peanuts. 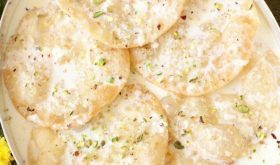 Fried dondakaya has a nice crispy crust and a mildly spiced flavor that is irresistible. 1 Wash the Ivy gourds, nip the tip and tail ends. Slice each into 2, length wise and keep aside. 2 Heat enough oil for deep frying in a vessel, once hot, place the dondakaya pieces into the oil and deep fry till lightly golden in color. Drain and keep aside. 3 Heat a tbsp of oil in a cooking vessel, add the mustard seeds and let them splutter. Add urad dal and allow it to turn red. Add curry leaves and fry for a few seconds till the aroma emanates the kitchen. 4 Add the sliced onions and mix. Add turmeric pwd and mix well. Saute on medium heat for 5-6 minutes, keep sauteing so that it doesnâ€™t burn. 5 Add red chilli pwd, coriander pwd, saunf pwd and salt and mix. Add the deep fried dondakaya pieces and saute. Add the roasted peanuts and mix. Cook on low-medium flame for 6-7 mts without lid. Turn off heat. 6 Serve warm with steamed rice. Havent tried tindora this way.. sounds good.. This looks yummy, will try it for sure! 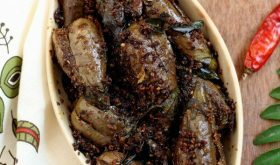 I was excited to see this recipe as a friend recently brought me an ivy gourd plant back from India. It is growing in my backyard but no ivy gourds yet – still having to buy them. 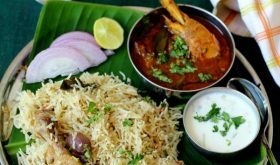 This recipe looks good and I will try it soon. Ultimate combo, love this stir fry very much.. 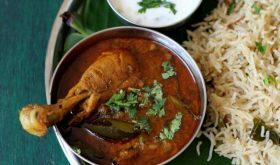 Wonderful recipe.. Ma amma vankaya tho kooda chesthundi same recipe.. yours looks simply inviting ! !